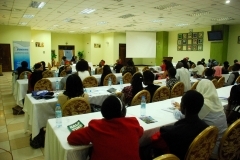 FEMRITE – Uganda Women Writers Association invites abstracts for 15 – 20 minute presentations during the international conference to celebrate its 20thanniversary. The conference will be held at the School of Women and Gender Studies, Makerere University, Kampala, Uganda from 28th-30th July 2016. The conference is one of FEMRITE’s core activities to celebrate her achievements, friendships, partnerships and challenges over the last 20 years. The conference will be a platform for writers, scholars, literary critics and other interested parties to engage, rethink and propose possible new directions for African Literature, which has been defined (and undefined) by different agencies at different moments. It has even been asserted, sometimes, that there is no such thing as African literature. Moreover, questions have been asked about women’s contribution to the African literature, the Diaspora’s influence on African literature, and the extent to which the same has been influenced by the current global trends.